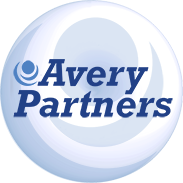 My experience working with Avery Partners has been great! Thanks a lot to Ms “ZZ”Jimenez & Frankie Fara they are outstanding Recruiters & fantastic staff members, they really make things happen. I was placed on an assignment at ApolloMD whom hired me 3 months later from Avery Partners. Great Job to Ms ZZ & Frankie Fara at the wonderful staff at Avery Partners you all are awesome & I’m very grateful of your help!